The Zuni are a North American Indian tribe, classified as belonging to one of the nation’s oldest groups, the Pueblo Indians. They call their homeland “Halona Idiwan’a” or “Middle Place” and speak their unique Penutian language. 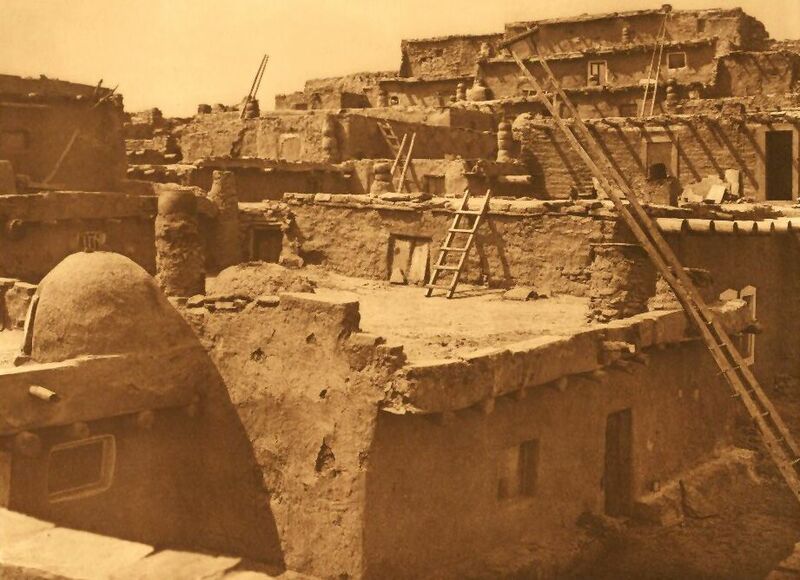 The term “Zuni” comes from a Spanish term having associations with a Pueblo. 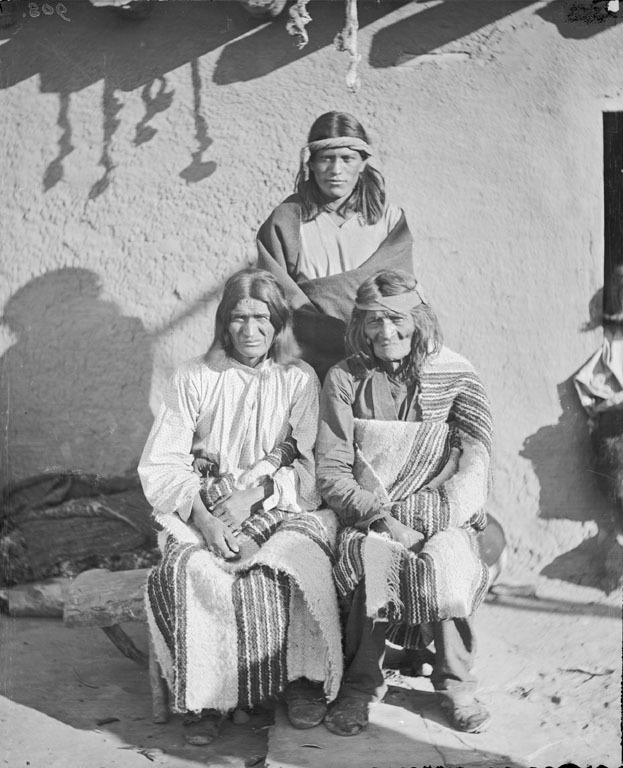 Presently, though the tribe calls themselves “Ashiwi” (meaning ‘the flesh’) in their own language, they also use the term “Zuni” chiefly when speaking in English. Earlier they resided on the Colorado Plateau and by the Rio Grande but now, comprising a population of nearly 12,000 people, they live on a reservation in New Mexico. Along with the 450,000-acre reservation in the 2 counties of McKinley and Cibola, the tribe has their own lands in the Catron County as well as in Apache County, Arizona. The rules entail that descendants of members having at least 1/4 Zuni blood quantum can only be enrolled. It is believed that the tribe had been living in western New Mexico before 2500 BC and first faced Spanish colonizers in the 16th century. In fact, the 5 or 6 towns called the “Seven Cities of Cibola” in which they lived were rumored to have gold, and this was what attracted the Spaniard, Francisco Vázquez de Coronado. In 1500, a fierce battle ensued between the tribe and the Spaniards as a result of a bloody military expedition led by Coronado. 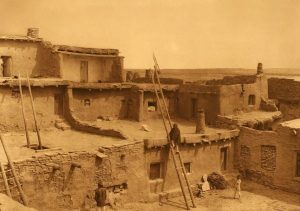 Though the Zuni succeeded in driving out Coronado, they failed to stop the Spaniards from establishing missions and military outposts when they returned again in 1632. later, in 1680, the Zuni together with other Pueblo tribes, defeated the Spaniards through the Pueblo Rebellion, but they came back in 1692 and could reclaim the area they had lost, chiefly due to the disintegration amidst the Pueblo tribes. 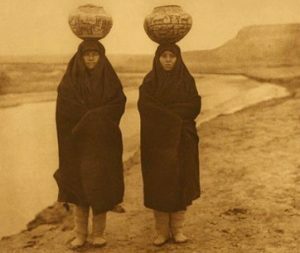 During the mid 19th century, they were further raided by the Apaches, Navajos, and Plains Indians, and in 1877, their reservation was officially recognized by the United States Federal Government. 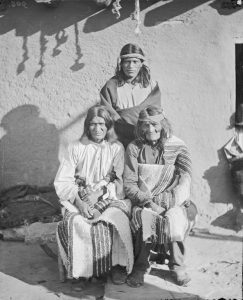 The Zuni traditionally were a peaceful tribe that centered on agriculture with their main crops being corn (maize), squash, and beans. 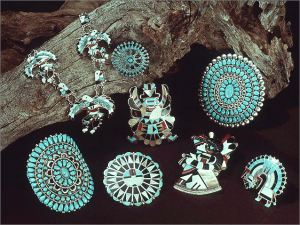 Gradually, farming gave way to cattle and sheep herding and since the early 19th century, vocations such as making silver and turquoise jewelry, baskets, beadwork, animal fetishes, and pottery have greatly added to their economic development. Men generally took charge of agriculture, politics, and war, while women looked after the home and family. Both genders participated in storytelling, music, and artwork. Kids accompanied their fathers to hunting, assisted mothers with chores and naturally had less time to play with toys and dolls. Though the clans were matrilineal, rituals were performed as per the father’s family. Before marriage, a couple was allowed to go for a trial period of living together and if a relationship did not materialize, divorce could be easily attained. Different games like the ‘Po-ke-an’ or the ‘Po-ki-nanaertne’ were popular among the Zuni. In these, light shuttlecocks made out of bundled corn husk and feathers were thrown into the air with bare hands and the skill lay in seeing how long, one could keep them in the air. The tribe is believed to have descended from the Anasazi culture, notable for being builders of ancient cliff dwellings in the canyons of the Southwest. 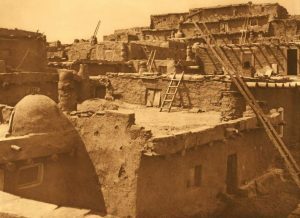 The homes the Pueblos made from a mixture of straw and clay baked into hard bricks was called an Adobe and these were multistoried, having entry through the roof by means of a ladder. Along with several rooms, they contained an underground chamber, called a “Kiva” that was used especially for ceremonies and rituals. At present, some Zuni dwells in these Pueblos, while modern houses are preferred by others. They ate the meat of deer, turkey, and small game as well as crops produced locally. Nuts, berries, and fruits such as melons were also eaten. Modern Zuni people follow much the same diet, comprising of trout, catfish, bass and farmed vegetables. Occasionally, they supplement it with domesticated animals and big game hunts. The men originally wore breechcloths, short kilts but during the 1800’s, they switched over to cotton tunics with a leather belt around the waist. 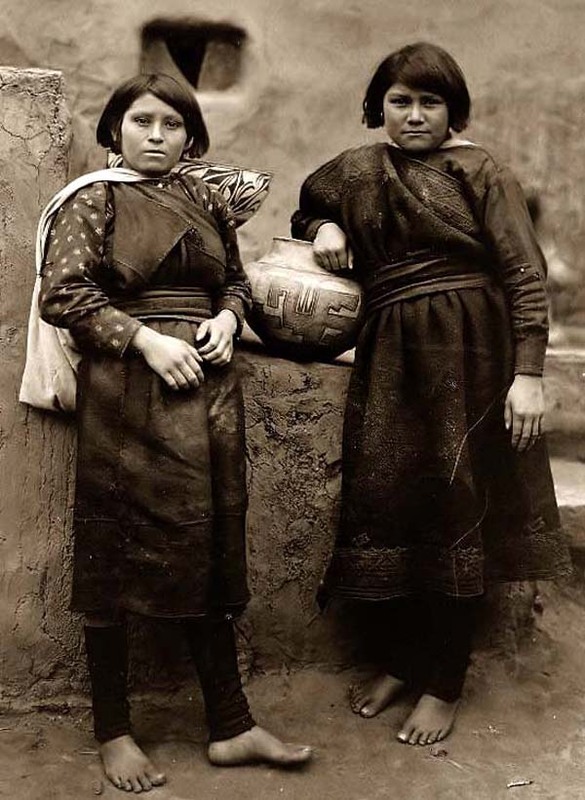 The knee length cotton dresses, known as “mantas”, that women wore exposed their left shoulder and since it was not considered modest by the Missionaries in the 1900’s, many started wearing shifts underneath henceforth. 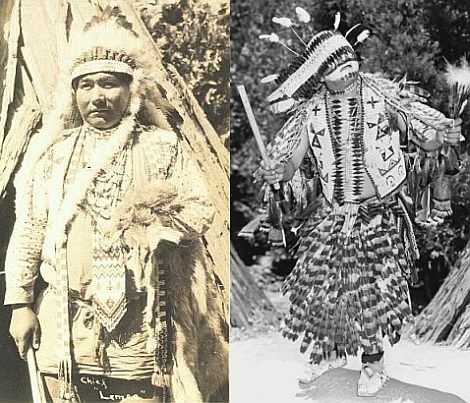 Their traditional headdress comprised of leather or cloth headbands, while during ceremonies, pointed masks or crowns of feathers were sported by dancers. 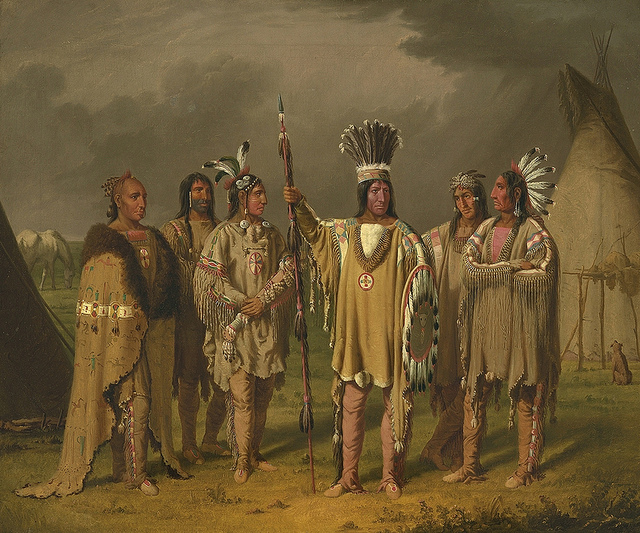 Today, the tribe wear modern clothes such as jeans in place of breechcloths and put on traditional items only during their traditional occasions. Apart from walking, the tribe used a travois, a kind of sled that was pulled by dogs to carry heavy objects. Once horses were introduced by the Europeans, the tribe could move about more easily. At first, they used a type of spear, called an “atlatl” which later came to be replaced with a bow and an arrow. Besides these, they worked with wooden hoes and rakes for farming, spindles and looms for cotton weaving, and pump drills for making holes in shells and beads. 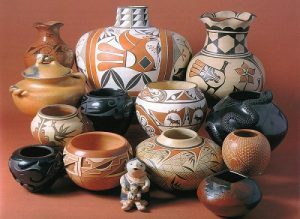 Pottery: The Zuni Indians excelled in pottery. Used both in domestic needs as well as in religious ceremonies, these had designs that narrated a story. Today, pottery making is a major source of income, providing employment to a vast section of the tribe. Kachina dolls: Hand carved from wood and clothed as Kachina spirits, these dolls were given to children so as to infuse in them facts about their deities. Jewelry-making: The technique of silversmithing, defined by a series of stones glued to a bezel setting, was first taught to the tribe by Navajo artist, Atsidi Chon. The tribe later refined it and gave rise to the more intricate styles, petit and needlepoints. In the recent times, besides bezel-set cluster necklaces and bracelets, their coveted collection includes stone inlays of vibrant colors and animal shapes. The most common jewelry item consists of a small animal carving, a fetish and it is believed that a person wearing such imbibes the traits of the particular animal being etched. The tribe believed in the existence of powerful spirits of deities, natural elements or animals called Kachinas that were said to bring about their well being like cause rains, fertility and healing by using magical powers. The 3 most deities were Earth Mother, Sun Father, and Moonlight-Giving Mother. Since the 17th century, the tribe has been inspired by the Roman Catholic Church along with maintaining its own religion. A major ceremony is the Soyal Solstice that is celebrated for 16 days in a row, while the Festival for Harvest is another significant occasion where the tribe celebrates the success of their crops through dancing and singing. The Zuni sun symbol, featuring a kachina mask surrounded by rays and the bear symbol, depicting an arrow protruding from its mouth and leading to its tail, hold the greatest importance in their culture. According to their creation myth, “Awonawilona”, the creator of the world is believed to have become the sun and thereafter made “mother-earth” and “father-sky.” The bear symbol, on the other hand, is said to convert its owner’s passions into true wisdom. Other fairly recognizable symbols are that of the Owl and the Paluluka, a feathered snake. They respect the owl, believing it to contain the souls of their wise ancestors and elders. In the past, the head priest of the tribe or ‘cacique’ served as the town chief. Chief Paliwahtiwa was the most famous and influential Zuni leader in history. 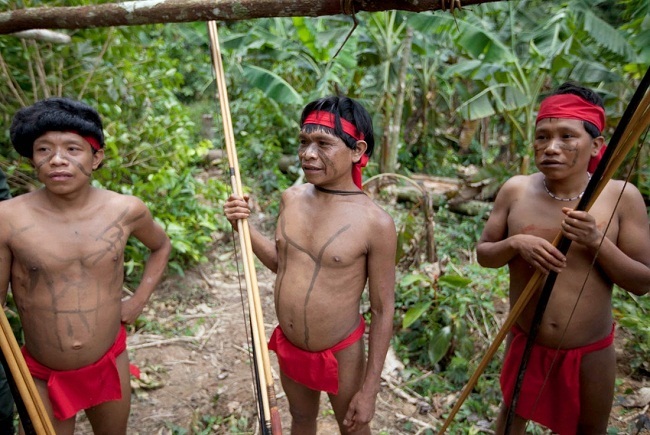 At present, besides the cacique, there is an elected governor and a tribal council. The confederation, called the All Indian Pueblo Council, is entitled to make political decisions on their behalf.